I stood back and thought, but there is no "right" way to celebrate. It is different for each family. If you only want to do one gift, do it!! 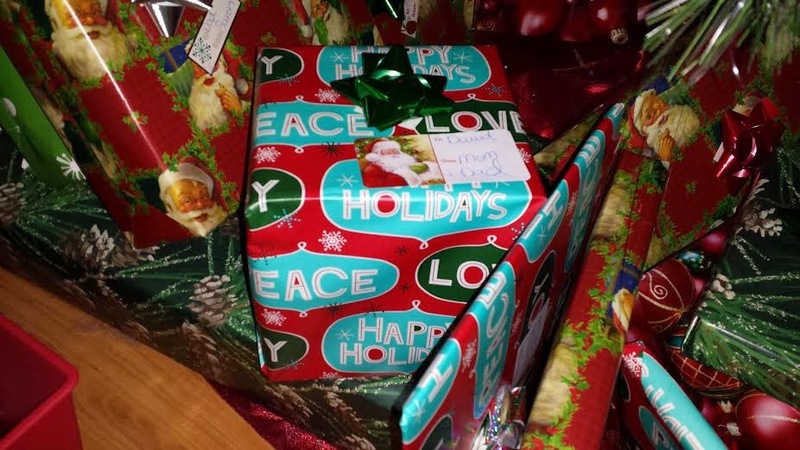 If you do no gifts, that is awesome! If you do 1000 gifts, more power to you. If you say Jesus is the reason, run with it! If you simply celebrate it as a time with family, that is wonderful! We're a hodge podge kind of family. And I love that. And when you look at our pictures of celebration, remember what you see isn't always "reality". Let me explain. Yes we celebrate the Christmas story, but we choose not to be "reason for the season" kind of people. Mainly because we like science here and let's face it. Winter Solstice is really the reason the for season. Christ's birth was put into this time as an official day for Christians to celebrate. 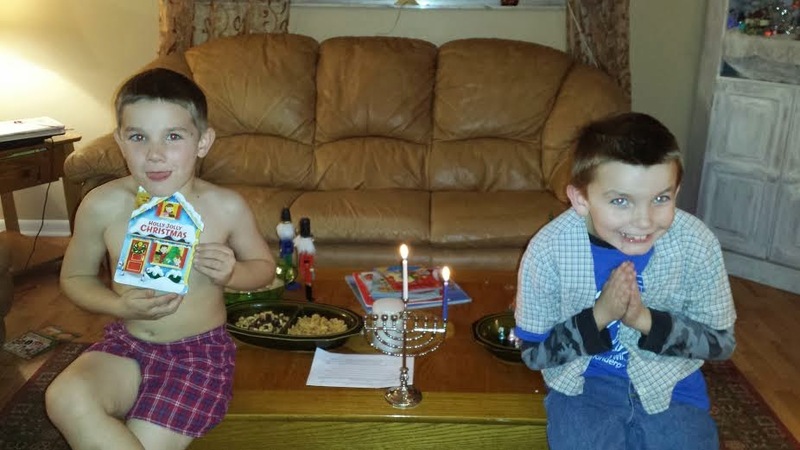 Yes, we do Hanukkah even though we are not Jewish by birth. But I teach our boys that our faith in Christ stems from the Jewish tradition. We do an advent countdown by reading a bible verse each night that has to do with the coming of Christ the Messiah and the boys get some kind of little trinket. We drive around and look at all the lights and OOO and AHHH together. 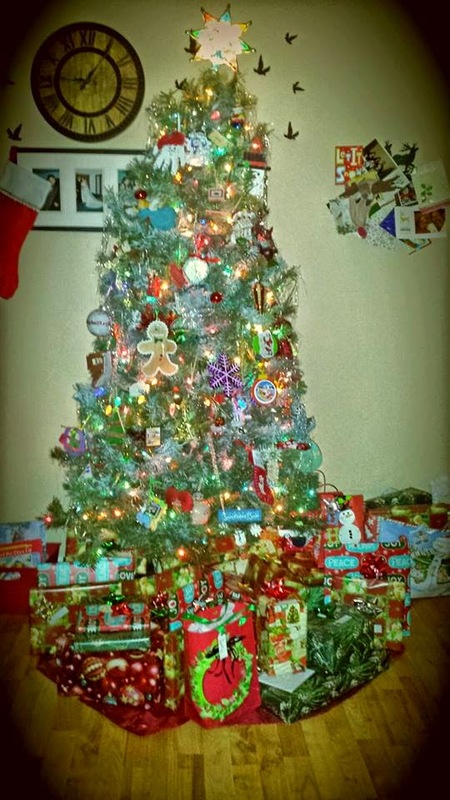 We have tons of presents under our tree. And our house all adorned. But don't let all that fool you. Things are not always what they seem. We are not rich, or even well off. We are just a working family. But I had the greatest childhood memories of Christmas because even though my mom was single for a long time, she always did Christmas in such a way that it was special every year. And I learned from that and am passing it down. Santa has not visited yet but the presents over flow. But wait, what you don't realize is that there is not $1000s of dollars worth of gifts. Many are small trinkets and dollar tree items. But we wrap each gift making it special. The small sqaure box is a $1 bowl from Target from the Planes movie that David loves so much. The flat square package is a $1 calendar from the Dollar Tree. A Sponge Bob inspired theme that my boys will laugh at all year! The rectangle package? 2 $1 books on Dinosaurs from Target. The big package? A shirt and starter skateboard from Sears for $10 total. Items don't have to be great amounts of money to look beautiful and bring a smile to their faces. 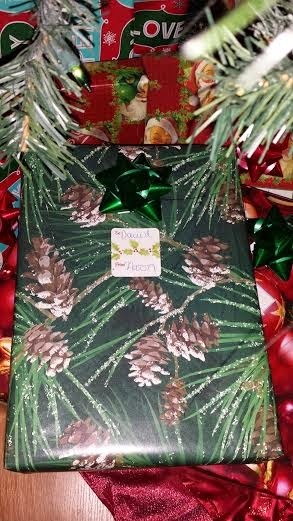 Wrapping each thing, using boxes, and several different prints of paper make everything so festive. The stockings? 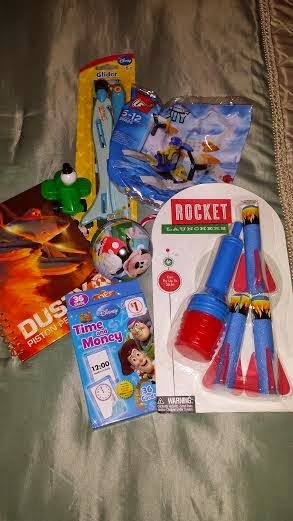 Mainly Dollar Tree or Family Dollar Store items. Sure they do have a few "nicer" gifts. But I saved, and bought early. However, those are not needed and we feel blessed to be able to provide it this year. But trust me, there have been years where it's been lean, and we even received help. Those years were still so special because we read stories, made cookies, still looked at lights. In addition, what people don't see is what we've done to help others. Which I don't really like talking about only because we feel our good deeds should be done in private. So remember, just because there are tons of gifts under a tree on a picture posted on Facebook, please don't think that they are bragging. You don't know the whole story. 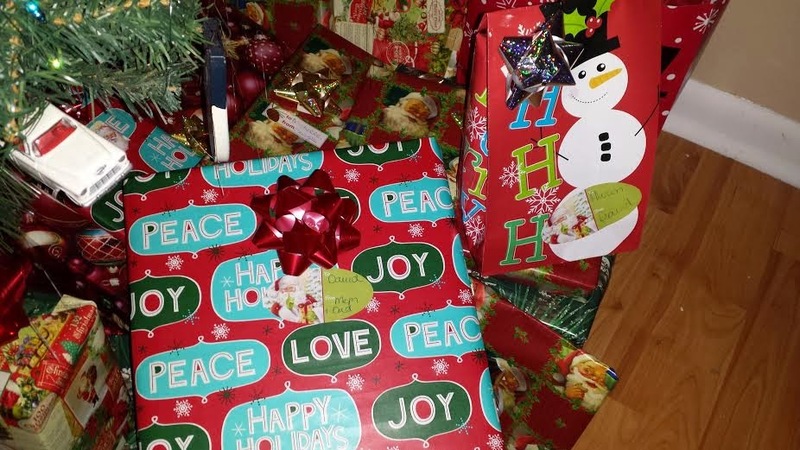 And just because there is a picture posted with just one or two gifts don't assume that they have no money or that they are depriving their children.